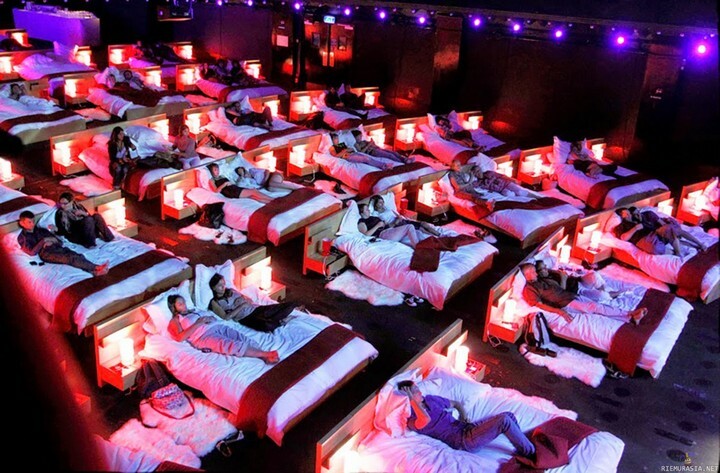 Maybe for some of you guys these improvised cinemas will seem a little bit excessive regarding comfort or the overrated attention for “building” a special mood for the audience. Of course, all this trouble will not adjust the quality of a film, neither the perception of it in the eyes of a cinemaniac. 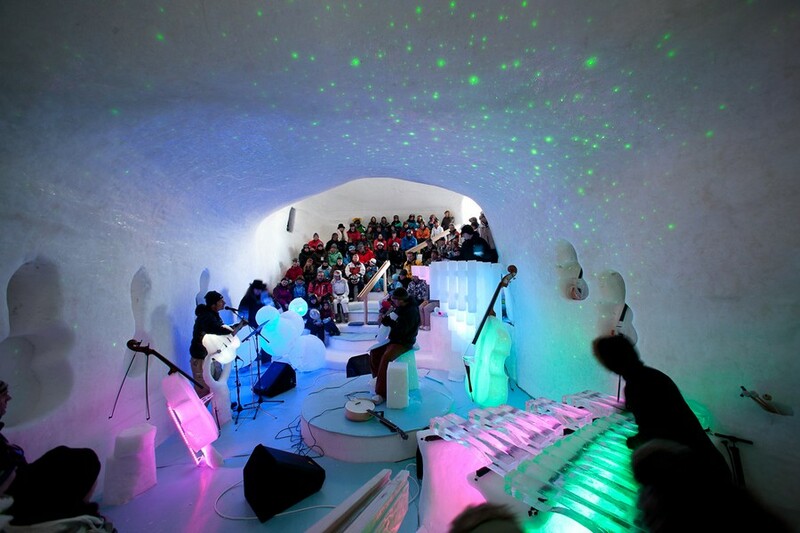 But these types of cinemas will refresh your curiosity to try new things, memorable ones. Watching a film and suddenly feeling that your boat is swinging or moving your head on one side and seeing your portrait in a rear-view mirror are just two of the things that get outside the surprise box of what entertainment is today. 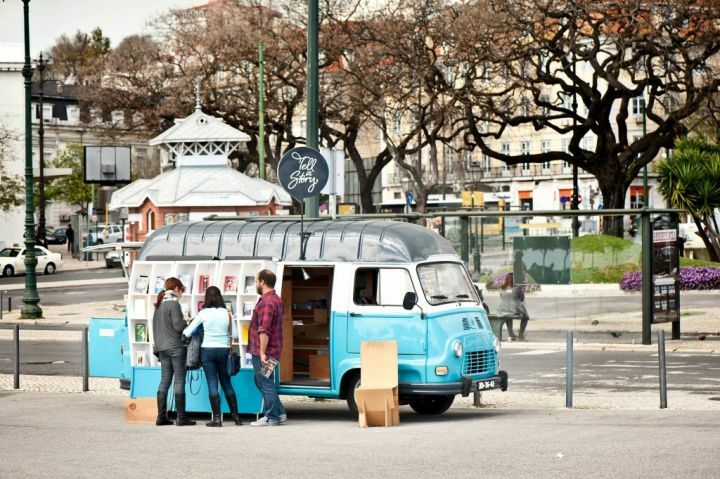 So let’s relax for a bit in our turbulent cities and sense an unconventional way of enjoying cinema. 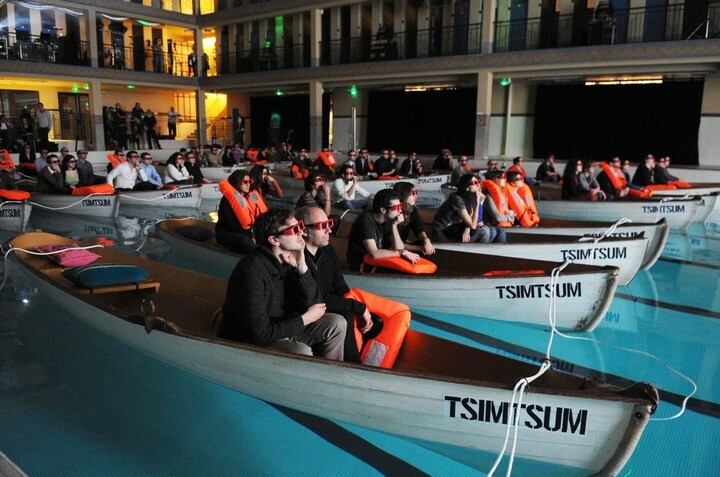 The crazy idea to improvise a floating cinema in a public pool was part of a movie event created by 20th Century Fox called “The Odyssey of Pi: Cinema on Water“. The well known 3D “Life of Pi” (directed by Ang Lee) is full of extraordinary adventures and those who have had the luckiness to feel the boat float during the intense moments described the feeling of being in the middle of the events. This was the first projection before the movie’s official release in December 2012 in Paris, France. 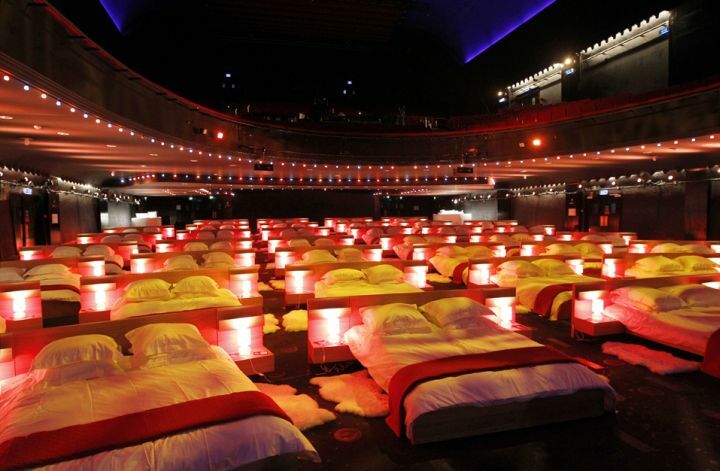 In 2010, Olympia Concert Hall in Paris was converted for a night into a giant bedroom with the help of IKEA, in a promotion campaign signed “In Bed with IKEA”. They actually switched the regular seats with large comfortable beds in which the few who got the special tickets had a relaxing night. The guests watched an orchestra playing Abba music and saw the Millenium Movie. Of course, this type of concert allowed people to jump like crazy in their beds and play with pillows. After that, they naturally fell asleep and spent the night in the concert hall. 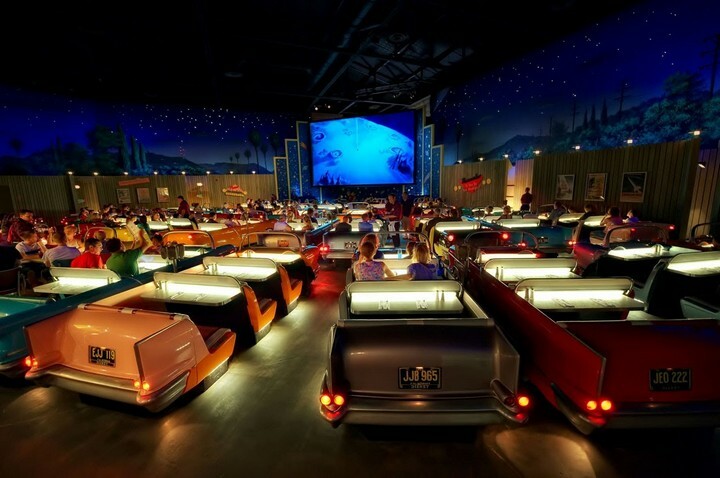 The Sci-Fi Dine-In Theater Restaurant is a theme restaurant at Disney’s Hollywood Studios, one of the four main theme parks at Walt Disney World. 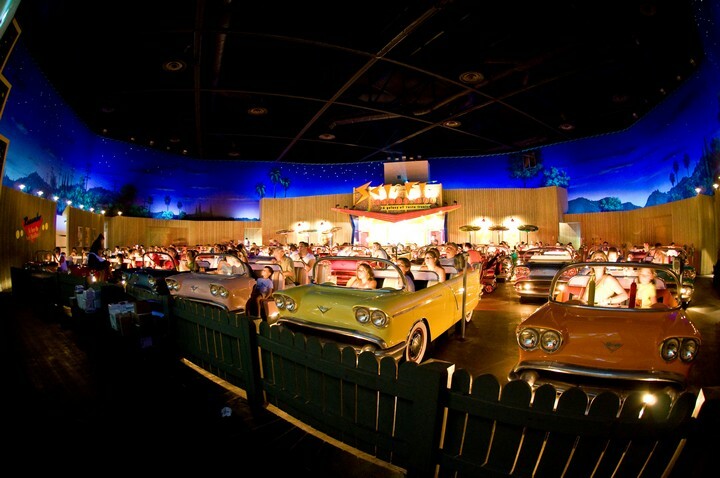 This retro restaurant is modeled after the classical 1950s drive-in theater. While tasting the American traditional cuisine, guests watch a large projection screen displaying film clips from the 1950s and 1960s. This should be a delightful remembrance of the middle century American life. Another location in Paris, another unusual place to set a film projection. 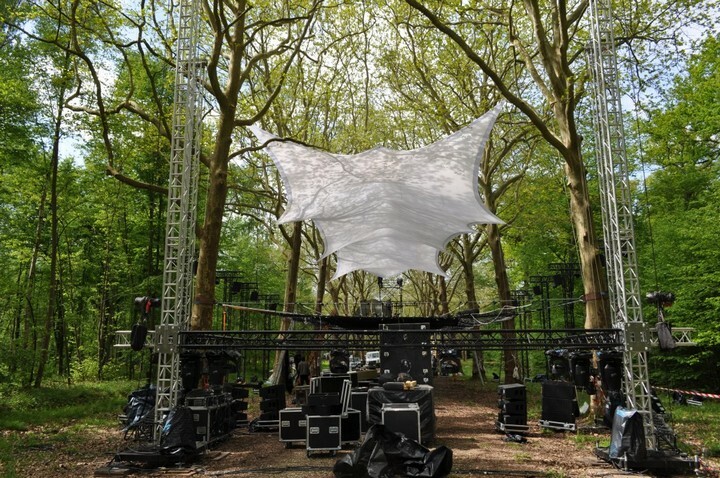 The French are always in the mood to mix nature with cultural experiences. 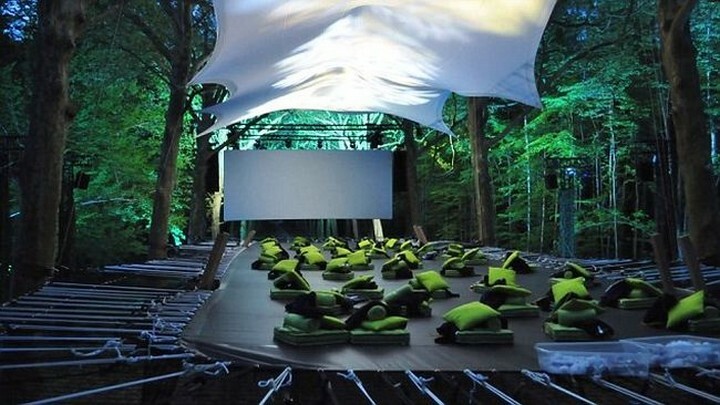 A daring idea hit the guys from RealID Europe and Fox Studios France: to imagine an outdoor cinema installed in the trees, five meters above ground, in the middle of a Parisian forest. To enter into the imaginary world of the movie “EPIC” in RealID 3D, the guests had to ascend some rope leaders before being welcomed on a specially design platform. This allowed them to feel the natural world in which the film was created.